This sweet necklace features one of my heart pendants, which is textured with a rose pattern and is colored in navy, turquoise, and pale blue with pewter highlights. 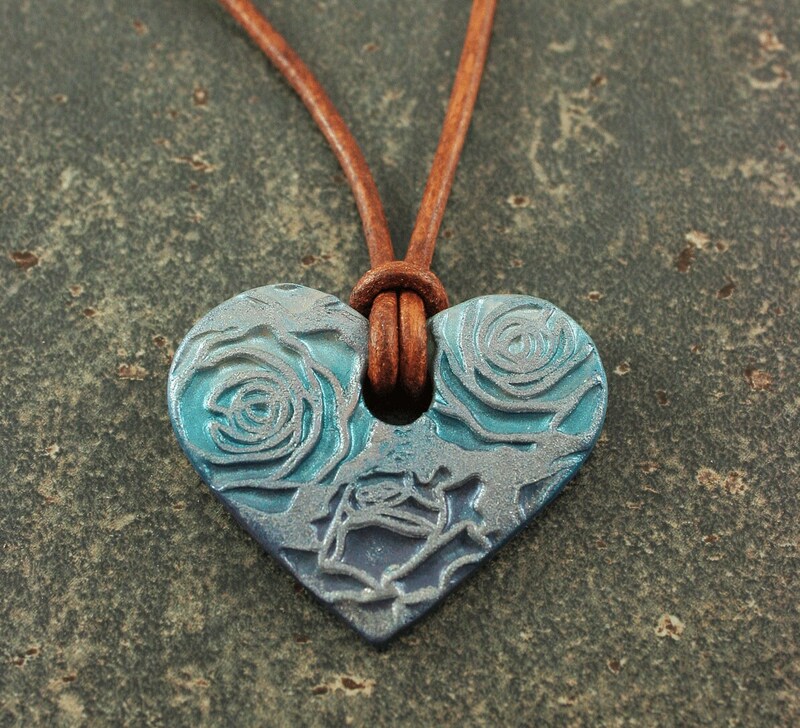 The back of the pendant is decorated with a lace pattern in turquoise against light brown. The heart pendant hangs from a 1/8 inch (3mm) wide natural, distressed caramel brown leather necklace that is finished with a rhodium hook and eye clasp. Pick your necklace length (without the pendant) at checkout!